Update 02/24/2017: Come to find out, our generous busker not only resides in NYC, current street performer Will Boyajian, is a Clifton Park native, and son of notable Albany lawyer, Don Boyajian. Boyajian graduated from Shenendehowa High School in 2008. He studied music theater at Ithaca College, and has been living in NYC since 2012. As word of his story rapidly spreads, Boyajian stated to The Schenectady Gazette, that he hopes someone will step in and make it bigger, as he will be leaving NYC in March to act in the Capital Repertory Theater production of “They Built America: The Workers of the Erie Canal.” After that, Boyajian will take his acting skills, and head back to the cruise ship from April through December. Musicians from Los Angeles and Chicago have reached out to Boyajian, wanting to start their own #HopefulCases, but Boyajian wants to make sure that people are doing it for the right reasons, at that the campaigns name is never used for profit and personal gain. 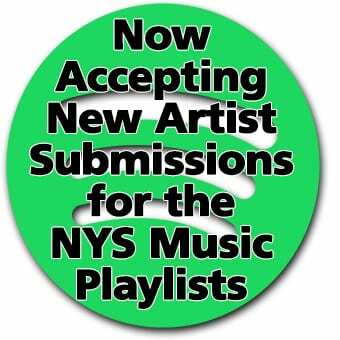 In Upstate NY, you can usually catch street performers playing their instruments, looking for a little extra cash near all the downtown hot spots in whatever city you reside. When you travel to a bigger city, like New York, one common place to see street performers looking for earnings, are in subway terminals. In a different twist, one specific street performer does it solely for humanitarian reasons, and now has the whole city talking. 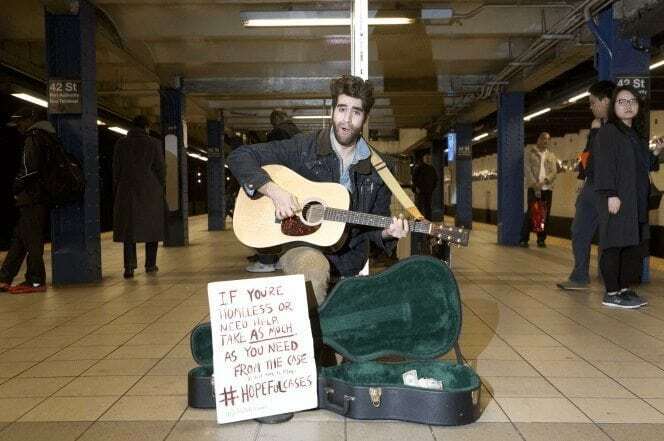 The New York Post reports that 26-year-old Will Boyajian, performs his bluegrass style of music to strap hangers walking by at the 42nd Street-Port Authority Bus Terminal subway station, and gives away his earnings throughout the day to those in need while trying to show New Yorkers a different way to give back and donate. Boyajian, who saved money for his cause by performing 8 months for Norwegian Cruise Line, earns around $400 daily in tips from passersby. 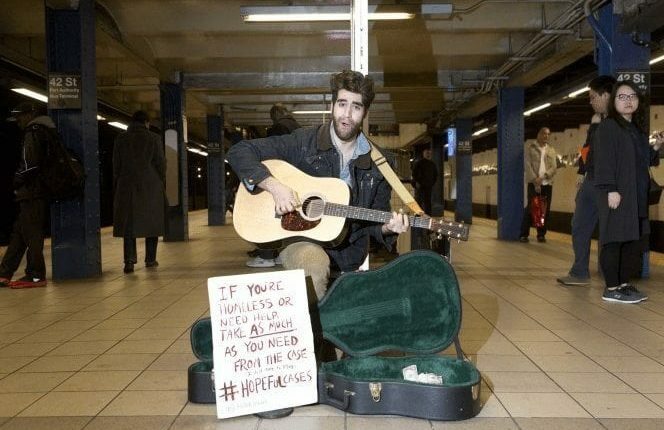 Before he starts playing, the busker leans a sign against his case that reads, “If you’re homeless or need help, take as much as you need from the case.” His goal at the end of the day is to end with zero dollars in the case. If any cash is left, Boyajian will either hand out the left over singles, or purchase single ride MetroCards to pass out. It’s really wild. Some people come up and take a dollar or take five dollars, some people come up and take $80… It’s not my job to judge it’s just my job to give. When I first moved to the city… this dude got on the train… and was clearly homeless. The whole train moved away. None of us will ever experience that kind of rejection in our lives.